The pressure pipes are manufactured in 2,5” mandrel bent seamless aluminum. 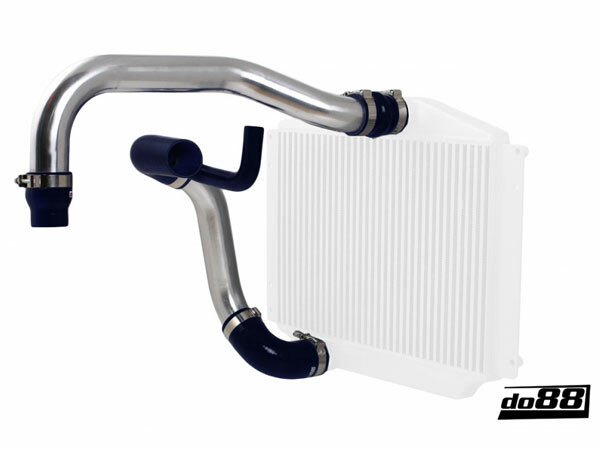 These pipes reverse the original flow through the intercooler, as the air that goes to the throttle body is now taken from the bottom of the intercooler. 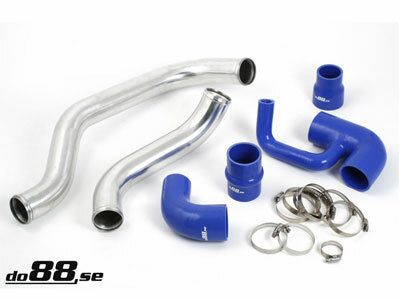 This makes the total length of the do88 pipes 550mm shorter than the original Volvo pipes. Includes DO88 custom made high quality silicone hoses with 4 layers of polyester/aramid reinforcement. These hoses can handle very high temperature and pressure. Available with a choice of black, blue or red hoses.